The Free Library of Philadelphia is a wonderful resource for literacy and knowledge. But did you know Philadelphia has multiple organizations dedicated to supporting children’s literacy? According to a study from the University of Nevada, homes that have even 20 books can increase a child’s educational level. And the more books that are added to the collection, the higher impact it will have for the child. Here are some locations for families living in Philadelphia that provide free or low cost books to help build your home library and support your child’s love of reading. Tree House Books - This North Philadelphia center has a giving library where children can read a variety of books and even take them home. Little Free Libraries - Just as the name suggests, these are small libraries where the thought is “take a book, leave a book.” Find the one that is closest to your community. If you have a mobile phone or tablet, you can download the free Kindle app for access to lots of free ebooks. Check out Good Reads and Amazon. Also, You Tell Me Stories and Reading is Fundamental have ebooks that can be downloaded to your phone or tablet. If you are an educator, here are some good resources for your classroom or extracurricular program. 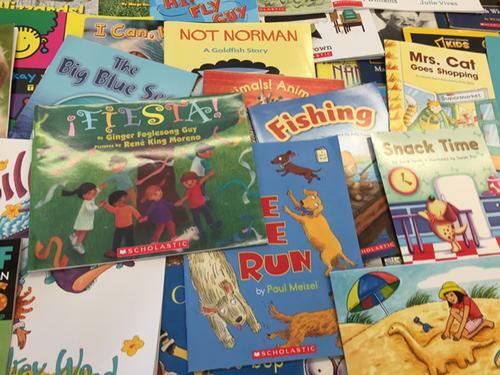 Philadelphia Reads - A must-visit for educators, Philadelphia Reads runs a Book Bank at Martin Luther King High School that allows educators to choose up to 350 books for their classrooms at a low annual membership fee. First Book - With a focus on helping children in need, this organization supports school and community programs by providing low cost books. Open eBooks - This is another free app containing thousands of popular and award-winning titles that are free for children from in-need households. partnership of multiple resources to support children’s literacy. The goal of Open eBooks is to encourage a love of reading and serve as a gateway to children reading even more often, whether in school, home, or at libraries. Read by 4th is a citywide effort of over 80 organizations, public and private, large and small, convened and managed by the Free Library of Philadelphia, aiming to majorly increase the number of students in Philadelphia entering the 4th grade at reading level by 2020. This is the largest effort of its kind in the city of Philadelphia. Where to Find Free Books? I am working with Wepac and can use more books to support our literacy program, and store telling in the West Philadelphia community. If you're looking for some kids' books, why not put up a "wanted" post on Craigslist, Freecycle or even Facebook? Plenty of people have books they're not using and would be happy to share, but it's not on their minds unless you ask. Also, Philadelphia READS has a book bank http://philareads.org/the-tom-and-adrienne-jacoby-book-bank/ Educator Memberships are $20 per school year and Associate Memberships are $50 per school year. Book Bank Members receive up to 350 books as well as classroom supplies with a combined value of over $4,000.